Philippines, November 27, 2018—Epson, a global leader in printing technologies and market leader for ink tank printers, recently launched its very own enterprise printing solution in a bid to ease print management for its customers nationwide. EasyCare360 is an all-in-one solution installed in Epson printers to provide businesses hassle-free printing management by monitoring the status of the unit and taking care of the consumables, spare parts, repair, and maintenance services. Epson’s EasyCare360 is a monthly subscription service which customers can buy separately from Epson WorkForce Pro WF-C869R printers. The subscription features a “pay-per-click” model for each printer, allowing customers to pay only for the total number of pages they print every month. With a pay-per-click model, customers can control their printing costs by removing the uncertainty of buying consumables and unexpected parts for repair. EasyCare360 also minimizes printing downtime with its premium, on-call technical service, to ensure that printing operations are always up and running. 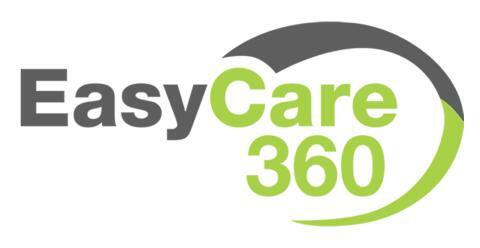 EasyCare360’s premium service is comprised of a dedicated technical support team, which guarantees a two-hour response time for solving on-site issues, and is available to serve customers every Mondays to Saturdays except on National Holidays, from 9 AM to 4 PM. For calls beyond 4 PM, on-site visits will be done on the next working day. An EasyCare360 subscription also includes free delivery of parts and consumables, remote troubleshooting, preventive maintenance, installation services, and end-user training. Epson’s EasyCare360 is now available within Metro Manila, upon the purchase of WorkForce Pro WF-C869R units. This A3 multifunction printer offers the lowest-cost color printing in its class. Equipped with a Replaceable Ink Pack System (RIPS), the WorkForce Pro WF-C869R delivers up to 84,000 ISO pages before changing the ink packs, which translates to fewer interventions and less hassle for users. This powerful enterprise printer also speeds through professional-quality prints at 24 ISO pages per minute (ppm) (black/color) and scans up to 25 ppm. Learn more about EasyCare360 through Epson Customer Care hotline—Metro Manila: (02) 441-9030; Toll Free: 1-800-1069-37766 (PLDT), 1-800-3-0037766 (DIGITEL)—or visit the Epson Customer Care website: http://customercare.epson.com.ph. About EpsonEpson is a global technology leader dedicated to connecting people, things and information with its original efficient, compact and precision technologies. With a lineup that ranges from inkjet printers and digital printing systems to 3LCD projectors, watches and industrial robots, the company is focused on driving innovations and exceeding customer expectations in inkjet, visual communications, wearables and robotics. Since 1982, Epson has developed a strong presence across major markets in Southeast Asia and South Asia. Led by the regional headquarters Epson Singapore, Epson’s business in Southeast Asia spans an extensive network of 11 countries with a comprehensive infrastructure of close to 500 service outlets, 7 Epson solution centres and 7 manufacturing facilities. Epson’s corporate presence in the Philippines commenced in 1998. It grew rapidly into a billion-peso company in a span of a few years from its establishment due to its client-oriented approach in its business management style by its dedicated and innovative staff members and officers. Epson Philippines has an extensive network of 77 Authorized Service Centers nationwide with more than 200 dealers and more than 800 shops across the Country. For more details, please visit our website (www.epson.com.ph) or our Facebook page (http://www.facebook.com/EpsonPhilippines). For product inquiries and technical support, please contact Epson Customer Care at: Metro Manila: (02) 441-9030; Toll Free: 1-800-1069-37766 (PLDT), 1-800-3-0037766 (DIGITEL) or visit the Epson Customer Care website: http://customercare.epson.com.ph.